Home » Gas Detector » How to Maintain Multi Gas Detector? The multi gas detector has found wide applications in the industry requiring the toxic gas detector. 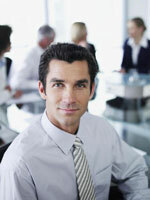 However, few organizations can ensure periodical maintenance. In the coal mining industry, security personnel's ignorance, and operators' malfunction and violation of security procedures have, either directly or indirectly, caused many coal mine accidents. Therefore, it is necessary for us to learn how to provide maintenance for the four-in-one gas detector. Check the gas detector periodically and in time to ensure immediate discovery of faults with the four-in-one gas detector and accuracy of the monitoring instrument. Choose a new-type monitoring system with a high performance. Avoid using the outdated and backward equipment and machine to avoid safety loopholes of production. Periodically change the sensor. The service life of the general electrochemical components lasts for two years to three years. Without periodical change, the accuracy of the information monitored cannot be guaranteed. If the gas inspector fails to change the sensor periodically, production safety loopholes can be easily triggered. The use environment and purpose should be taken into consideration before selection of a suitable monitoring equipment. The multi gas detector, apart from being capable of mass data collection, real-time transmission, processing and display, should also take factors, such as temperature and pressure, influencing its adaptation to the environment under the well into consideration. Ban soaking the four-in-one gas detector into the liquid. Keep all records of maintenance, impact test, calibration and alarm events. Use a piece of soft wet cloth to wipe the shell of the machine. Ban use of solvents, soap, polishers, etc. Generally, the four-in-one detector should get fully charged before their use if after left unused for a long time. Meanwhile, it should be ensured that the screen display and sound display are all normal. If necessary, the four-in-one gas detector should be collated. If the detector is used in harsh environments, immediate maintenance is required. When the concentration of gases is too high, particularly when the concentration of combustible gases, toxic and poisonous gases is too high, an alarm should be given to the user to prevent occurrence of any accidents. 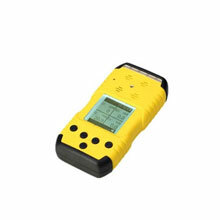 The commonly-seen four-in-one gas detector is equipped with the gas concentration alarm level setting. When the gas concentration is high, the four-in-one gas detector's buzzer will give out an alarm. The four-in-one gas detector can also be connected with the peripheral equipment for alarm level announcement.